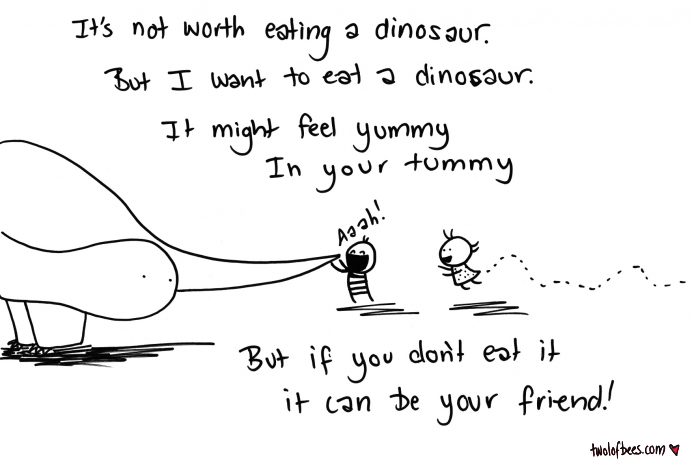 Feel free to substitute 'dinosaur' with any other object that probably doesn't belong in your tummy! Jurassic Park: The Game had just been released and I was a bit excited about dinosaurs. I freaking love this song!